GIST medications have many side effects, some severe and some more manageable with the help of your doctor. Your doctor should always be involved in the process of managing side effects because he or she can monitor conditions such as high blood pressure while perhaps prescribing other medications to deal with problems such as edema or nausea. It should be noted that some of the same conditions that present themselves as side effects can also be related to the illness itself. Indeed, in several trials participants taking the placebo report many of the same problems as those taking the medication. 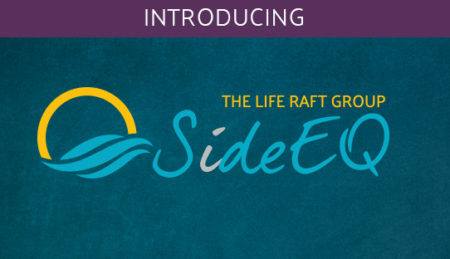 Participating in the Life Raft Groups email community is one way of learning how other people on the same medication are dealing with side effects. Discussions cover topics such as remedies to dry skin, diarrhea, acid reflux and muscle cramping and pain. The Life Raft Group has put together a comprehensive Survey of Side Effects reported by patients taking the GIST drug Gleevec. We have resources that cover Sutent-related side effects (below) and Stivarga-related side effects. Managing Gleevec Side Effects – Download PowerPoint presentation here. Gleevec and Sutent are powerful anti-cancer drugs. They have both beneficial and negative effects. For most people the benefits far outweigh the negative effects. However, side effects can have a negative impact on every day life. Learning how to manage side effects or in some cases, how to live with them, not only improves quality of life, but it also allows patients to be able to take these drugs at the proper dose and schedule, which is key to successful treatment. In addition, the Life Raft Group has created a web-based platform for patients and caregivers called SideEQ that is dedicated to making it easier for them to track their medications and side effects and also access information on how to best manage them. On SideEQ, you can find side effect information from health care professionals as well as fellow patients, and also post questions or tips yourself. Our new tool for coping with side effects!